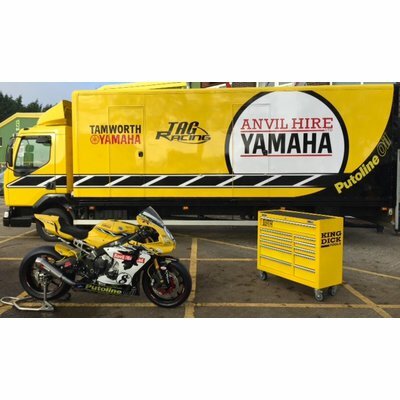 ANVIL HIRE YAMAHA team in British Super Bikes for 2016. Continuing our long association with TAG Racing, we’re delighted to hear of the exciting line up for 2016, and wish the team every success in the season ahead. Their testing (in warmer climates!!) begins soon, and we can’t wait to see how Billy, James and Shaun get on with the new bikes.